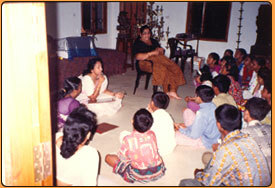 A three-day summer camp was conducted for school children on the outskirts of Chennai in 1996. The camp based on Human Values was conducted in an interactive manner. Many children were participating enthusiastically in this event. 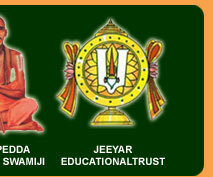 In order to inculcate the importance of Vedas in our daily lives, a three-day summer camp was organized for school children in 1997 wherein Scientific Values in Vedas were taught to the children. 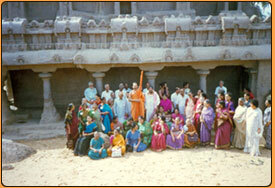 A spiritual camp was conducted by His Holiness at Utthandi village near Mahabalipuram. The devotees left behind their daily chores and stayed at the campsite and attended the classes conducted by His Holiness, which commenced from 4-30 a.m. every day. The spiritual classes conducted by His Holiness enlightened all the Jivatmas’ (devotees) who were participated in that camp. An exponent of Bhagavad Gita – Chi. Gudimella Kalayana Rama Swaroop – was honoured by Jeeyar Eduational Trust, Chennai after the child prodigy displayed his prowess in the Bhagavad Gita when he satisfied 10 eminent Sanskrit scholars who grilled him on the stage of a packed auditorium. By fencing and cleaning of some Sannadhis at Sriperumbudur temple. 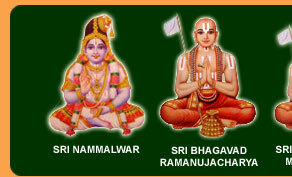 By conducting samprokshana of Sthalasayana Perumal Temple, Mahabalipuram. 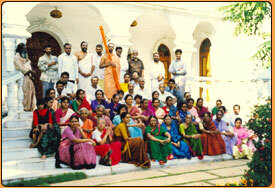 By conducting samprokshanam of Sri Narasimhaswami Sannadhi in Parthasarathi Swami Temple, Triplicane, Chennai. By consecration of Sri Matsyanarayana Perumal Temple at Kovalam, near Chennai. By Aiding in the Renovation of many temples in Tamilnadu. 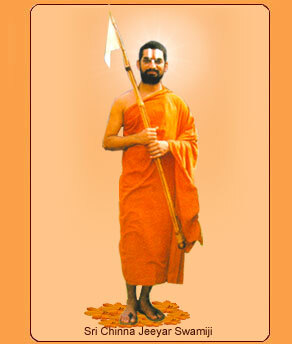 A program of chanting of selected slokas from Bhagavad Gita every day by the devotees in their house holds at a specified time all over the world for Viswa Shanthi.